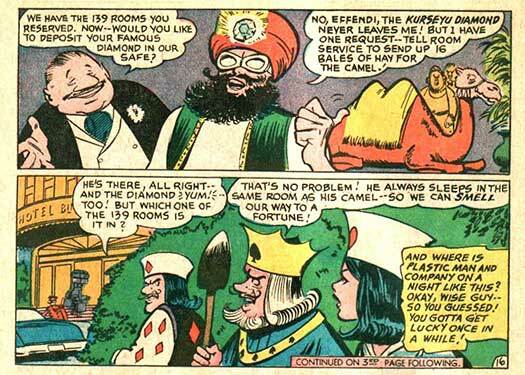 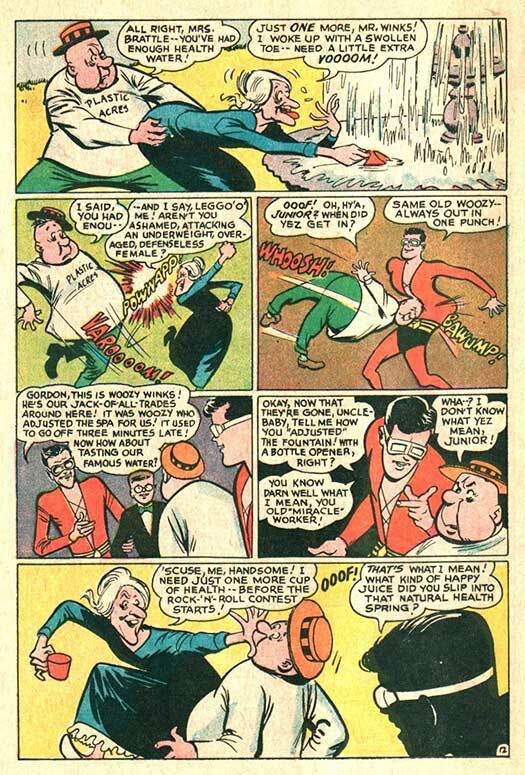 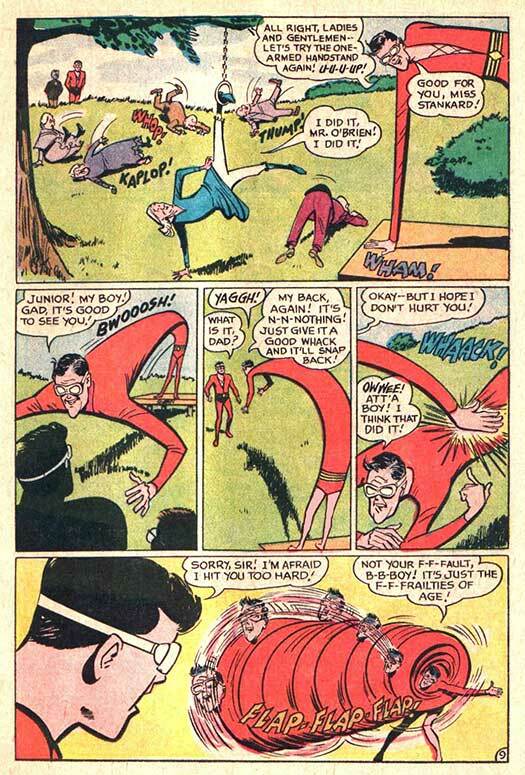 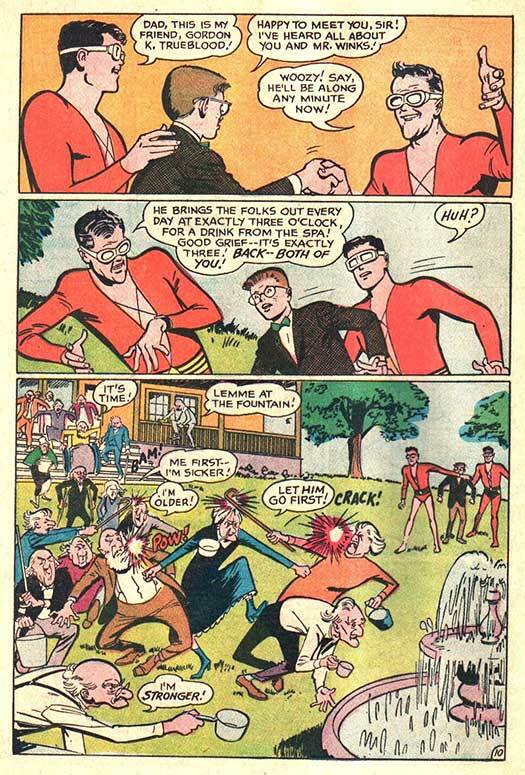 ...it turns out the Silver Age Plastic Man is the son of the Golden Age Plastic Man, who now runs a retirement home! 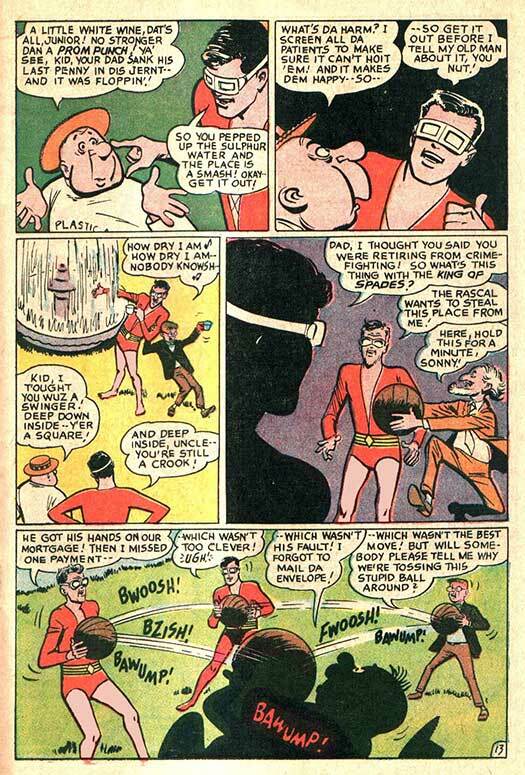 BTW, I mentioned we did an editorial change to the art for this never-reprinted story by writer Arnold Drake and artist Win Mortimer. 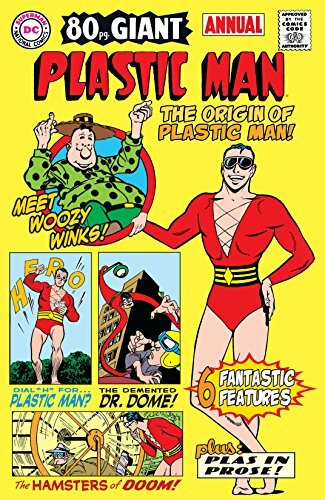 Nobody posted what it was, so I'll tell you. 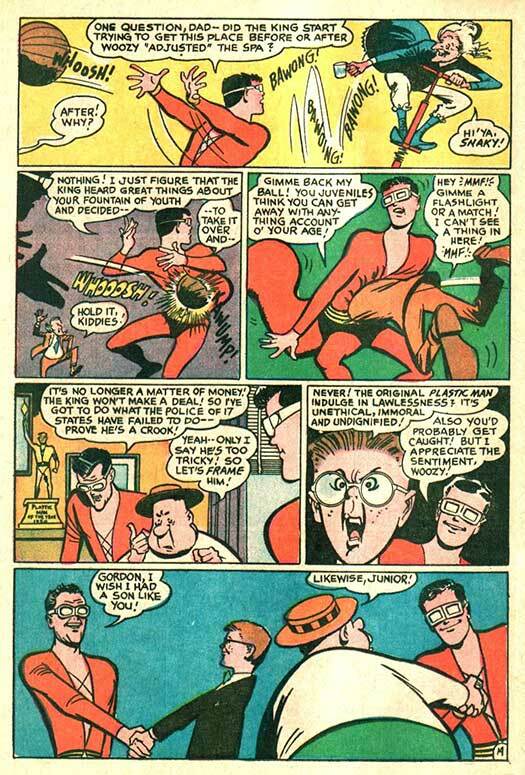 I photoshopped the Golden Age Plastic Man's legs back to their "bare flesh tone" color! 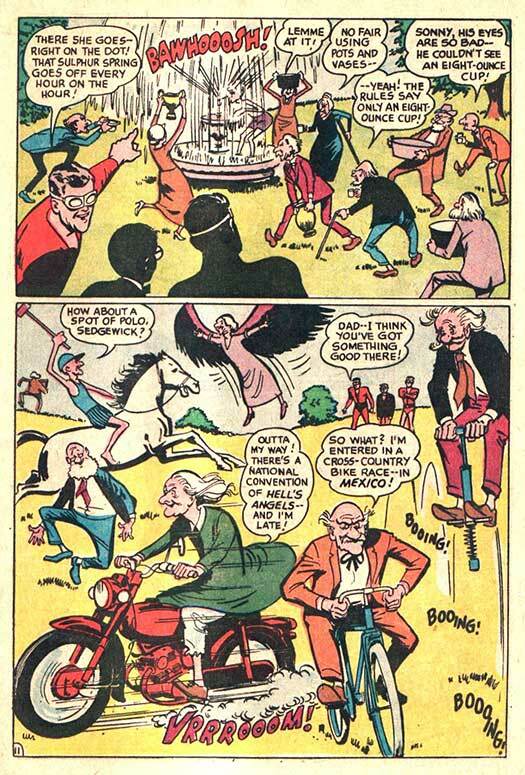 The published story had both the Silver Age and Golden Age PMs with the red leggings that defined the Silver Age version, which made it difficult to tell them apart in panels where they appeared together! 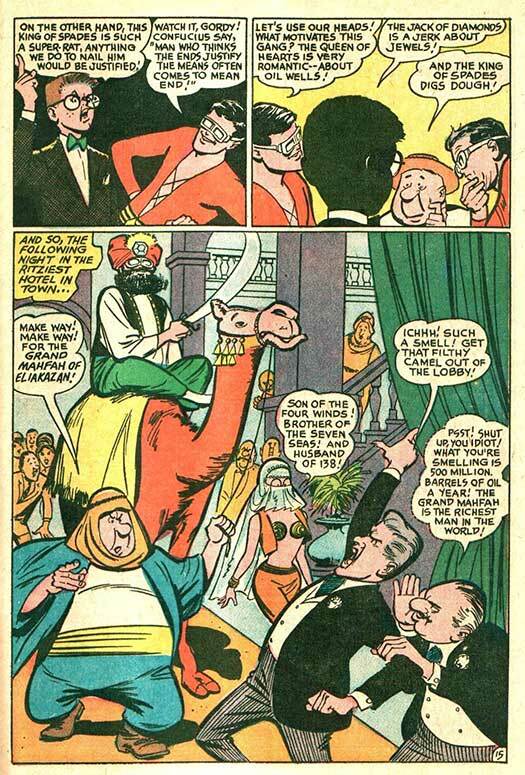 So for the sake of historical accuracy, I modified the pages.